The following is an author chat that took place on the 25th of June, 2009, between my EDLL 5351 Children’s Literature for Teachers and Librarians at Texas Tech University and author/illustrator Xavier Garza, using Chatzy.com’s chat room services. I’ve taken the liberty to make some corrections on misspellings, typos, and other minor grammar and usage errors for a clearer reading. Zulema and the Witch Owl. Houston TX: Arte Público/Piñata Books, 2009. Charro Claus and the Tejas Kid. El Paso TX: Cinco Puntos Press, 2008. Juan and the Chupacabra. Houston TX: Arte Público/Piñata Books, 2006. Lucha Libre: The Man in the Silver Mask: A Bilingual Cuento. El Paso TX: Cinco Puntos Press, 2005. Creepy Creatures and Other Cucuys. Houston TX: Arte Público/Piñata Books, 2004. Rene: Lisa: Have you ever worked in or been in an elementary classroom? How do you know how to gear your writing toward that level? Xavier: I have been a teacher for 15 years, but at the Jr. High level for the most part. I base all my stories on my childhood memories and experiences. I try my stories on my 6th graders. They are close enough to the elementary level to get an honest opinion fromt hem on the stories. Rene: Amber: In Charro Claus there is a segment where Charro and the Tejas Kid deliver toys to the children along the Texas/Mexico border. Due to the recent immigration conflicts, has there been any controversy surrounding this book? Xavier: There has been only minor controversy. An online critic commented that Charro Claus brings fake green cards and social security numbers to Mexicans (check out the review here: http://74.125.95.132/search?q=cache:990EgnJfF0MJ:www.allvoices.com/contributed-news/2090718-santa-claus-mexican-cousin-finally-gets-his-own-bilingual-book/blog/25769730+%22xavier+garza%22+%22charro+claus%22+%22green+cards%22&cd=5&hl=en&ct=clnk&gl=us). Maybe there will be more controversy down the road since it looks like Immigration reform will be a hot topic in Washington again. I find things like the Border wall to be an idiot’s solution to illegal immigration. A wall is never a permanent answer to a problem; it’s just a temporary fix. As a child growing up in the Valley, so the border is very much a part of my life. Crossing back and forth between the US and Mexico was done as easily as going to Walmart or HEB. Rene: Jessica: What book is your favorite to talk to an audience about? And why? Xavier: Hi, Jessica. My favorite book is Charro Claus and the Tejas Kid. It’s a very personal book. When I was a child, my dad introduced me to the concept of Santa having a Mexican cousin while shopping at a local grocery store. I saw a Santa Claus wearing a Charro hat and asked my dad who this man was. He told me he was Santa’s Mexican cousin. Later, I listened to the song “Pancho Claus” by Lalo Guerrero. All these factors stayed with me. A few years back I realized that what Santa's Mexican cousin had never had was an origin story. I mean who was he? How did he come to be? Why does he deliver presents to the kids on the border? Is he helping Santa, or did he decide to just do it on his own? None of these questions had ever been answered, so I felt that he needed an origin. In short, he needed a story that answered all these questions. The Tejas Kid was inserted into the story so as to insert my own son into the story. I wanted to in my own way to introduce him to Santa’s Mexican cousin just as my father had done for me when I was a child. I also made Charro and Tejas look like both me and my son. Rene: Kinsey: What inspired you to begin writing children's books? Xavier: I was raised among storytellers. My dad and grandparents were storytellers, so it grew on me as a child. Eventually I decided to try and get my stories published, rather than just tell them. I have been lucky that I have always had people Like René Saldaña, Jr., (The Case of the Pen Gone Missing (Piñata Books, 2009) and The Whole Sky Full of Stars (Wendy Lamb Books/Random House, 2007)) and David Rice (Crazy Loco: Stories (Dial, 2001) to encourage me to keep going. I have been very blessed to have five books published thus far. 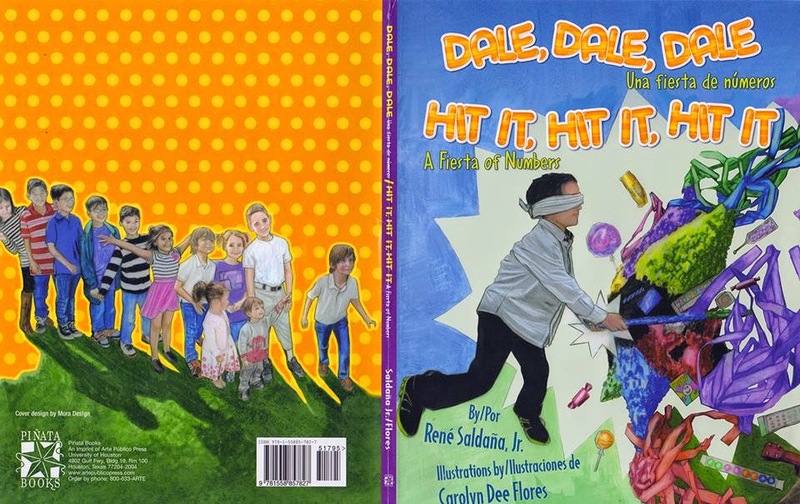 Rene: Bertha: How have non-Hispanic kids responded to your books? Xavier: For the most part very positively. Lucha Libre has been very well received and is probably my most popular crossover book. 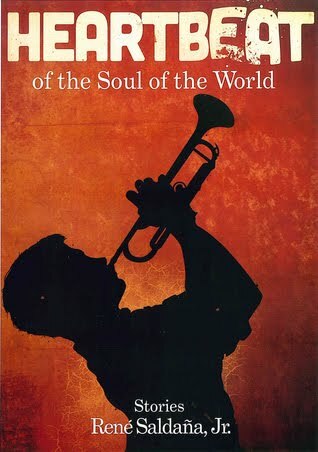 It is the one book that you can find at virtually every Barnes and Noble. Kids really seem to enjoy lucha libre, which is a world filled with masked heroes and villains that do battle in the ring. Rene: Kimberley: You say your dad and granddad are storytellers and they influenced you to tell your stories. Was Lucha Libre based on one of their stories, or another family members, or yours? Xavier: Lucha Libre is based on two events: as a child, I often visited my cousins in Monterrey. On Friday evenings we would go see lucha libre at the Arena Coliseo in Monterrey. These fond memories of masked heroes (tecnicos) and villains (rudos) stayed with me for years. Later as an adult I met Mil Mascaras, and the idea came to me to author a book that shared the experience of seeing Mexican wrestling. Rene: Ashley A.: What other projects are you working on? And can you talk about what your writing process is like? Xavier: I am currently doing a sequel of sorts to Creepy Creatures and Other Cucuys. 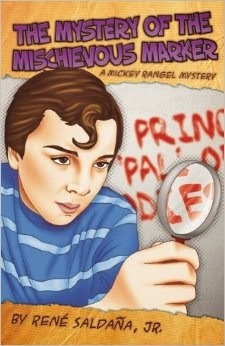 The book is titled Kid Cyclone Versus the Devil and Other Creepy Stories. It is being done with Arte Público/Piñata Books, and consists of 16 scary stories such as “Llorona 911,” “Kid Cyclone Versus the Devil,” “The Saint’s Revenge,” and “Border Watch.” I am also working on another picture book titled La Llorona Versus the Donkey Lady. My writing process is rather simple. First, I come up with an idea by drawing on memories from my childhood. “Llorona 911,” for example, is based on a phone number that we kids passed around. You called the number and you heard a recording of a crazy, angry woman yelling and screaming at you as if you were her scoundrel of a child. A few modifications of this memory led to it becoming a Llorona story. Also, if I have an idea I write it down. I don’t do the whole story, but save the idea instead. Too many stories are lost because the ideas for them aren’t written down. Rene: Edward: When you write your stories, which seem like they are more geared to a boy audience, do you think consciously of boys as your primary audience? What do you think boy readers need to become better readers? Xavier: Not all my books are boy based, but I do like girl characters who are strong and a bit tomboyish. Luz, in Juan and the Cupacabras is a lot braver than her male cousin Juan. Also, Zulema in Zulema and the Witch Owl is a tough little girl. Almost all my characters are modeled after real people I have met. I think that what we need to do in order for boys to be better readers is do away with some of the “boys don’t read” stereotypes that are deeply imbedded in our society. We need to encourage reading not only in schools, but also at home. Parents need to encourage their children, boys and girls alike, to excel in education, and reading is a very essential part of reaching these ultimate success. Rene: Kristin: What have you found to be the benefit of having parallel English and Spanish texts in your writings? Do you write both the English and Spanish translation independently, or do you write in one language first and then translate to the other? Xavier: I speak Spanish fluently, but I don’t do my own translations. I write in English, and then the publishers get the translator. I am a firm believer in the advantage of being able to speak more than one language. Rene: Whitney: What techniques do you use to come up with your artwork? Xavier: I do a lot of pencil sketches, very rough drafts. The characters in Lucha Libre (El Vampiro, Evil Caveman and El Cucuy, for example) are all hybrids of different real life luchadores (Mexican wrestlers) that I combined to create new characters. I will develop the look of the characters first, and then decide on the colors. Something like Zulema and the Witch Owl uses darker, more raw tones so as to add to the dark theme of the story. Rene: Brandon: Can you tell us about your first teaching experience? Were you nervous? If so, how did you deal with it? Xavier: I was nervous my first year, but that lasted about one week. Teaching is very fast-paced. Basically I got hired in September, so school had been going on already for three weeks. I was basically told, “Here’s your 130 students, and there’s a closet with supplies. Deal with it.” As such I had to adapt quick, but in the end it made me believe that I can handle any teaching situation that comes my way. Rene: Last Question: Multiple Questioners: What came first, your teaching or your writing? Did one influence the other? When did you start writing? Any advice for younger would-be writers? Xavier: The storytelling and the art came first. As a child I loved to draw. Give me a box of crayons and some paper bags and I was ready to go for a few hours. When I went to college I was going to get a degree in Art, but with teaching certification. The writing came about because several people recommended that I should write these stories down. I finally listened, but it was a long process. It took me nine years from when I began to write down my stories and my first book finally being published. I started to write when I was 24, but I was always a reader. I tell any aspiring writer to just keep writing and to never give up. If you believe in what you do, then it will eventually happen, so long as you don’t ever give up. Rene: Xavier, thanks for giving us this hour of your day. It was very awesome hearing from an author whose works we've been exposed to in class. We wish you well and continued success. Rene. Xavier: The pleasure was all mine, René. It was an honor to communicate with your students. Nos vemos pronto. Javier, if you could get in touch with me I would greatly appricated it. Call me at 956-607-9870. I need an speaker at the Cavazos Elementary School where I teach reading at the 4th grade level. Remember me your English Teacher from Rio High in Rio Grande City. My second collection of short fiction. 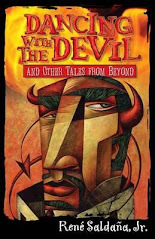 VOYA writes, "The stories range from genuinely frightening to gloriously gruesome, but all of them are memorable." Kirkus Reviews calls it a "brisk novella," which it's not, but I'll take it. 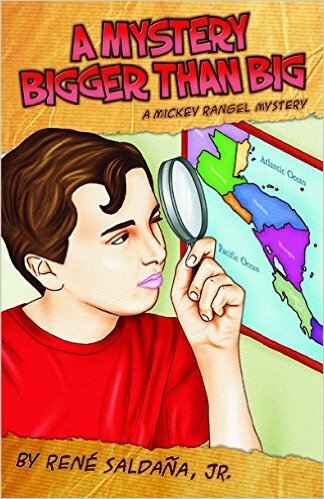 I mean, it's not a novella, it's a chapter book, a bilingual one at that; the 2nd installment in the Mickey Rangel mystery series. Alicia Sondhi in ForeWord Magazine: "A poignant, brief novel that leaves a lasting impression, A Good Long Way is a meaningful read for teens by an author with a deep understanding of the struggles and rewards of growing up." rene.saldana@sbcglobal.net, friend me on Facebook, or follow me on Twitter (@ReneSaldanaJr). New York Times Book Review: Patrick Markee: a "warm coming-of-age novel" … Saldaña "immerse[s] the reader in the texture and detail of hardscrabble family life in a Texas border town." My second book, a collection of short fiction, also aimed at the YA market. Originally from Nuevo Peñitas in South Texas (a suburb of Peñitas Viejo), I now live in Lubbock, TX, with my wife Tina; our sons, Lukas, Mikah, and Jakob, and our daughter Kalyn; our cats Cotton and Gordon (and when she wants, Dottie); and our dogs Sadie and Chito; where I teach at Texas Tech University (in their College of Education).